Joe and Patsy love retirement. 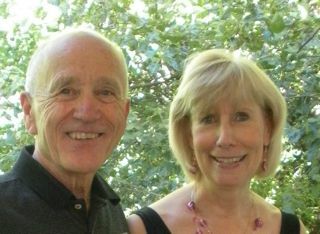 Joe was 2 years into retirement, Patsy 6 months, when their daughter Sara’s husband left her and their two young children. Sara had not been working while the children were young and her child support could not begin to cover housing and child care expenses. The 3 of them moved in with Joe and Patsy. Tim finished college, found a job, but really did not have the money to handle all of the living alone costs of a single adult … and have a social life at the same time, so he moved home with his folks. Jean struggles with depression so it was no surprise to her that her 23 year old daughter, Anna, also has the same issues. Anna’s sadness and depression make it hard for her to hold on to a job. The harder it is to hold on to a job, the more depressed she becomes. Jean wonders if Anna will ever be on her own. Now, more than any other time in our history, young adults are finding it harder to leave home and many, because of the economy or other issues, are finding a need to return to their parents’ home. This can be stressful for everyone. A 2009 survey by the Pew Research Center reported that 13% of parents with adult children said that one of their adult sons or daughters had moved back home in the past year. Another study reported that 40% of 2008 grads were still living at home with their parents and 42% of 2006 grads were also still living at home. The main reason that young adults have trouble moving out on their own is the high cost of housing and other life expenses. The Bureau of Labor Statistics reported in October, 2009 that 15.6% of 20-to-24-year-olds were unemployed vs. 8.7% for people over 25. College debt also takes a toll, so it makes sense to move back home where life is comfortable, rent is low or none at all and cooking and laundry are often provided. Others, like Sara, return for personal reasons, to recover from a divorce or an illness, or just because they would like a different lifestyle. There are financial burdens for the parents as well. Their desire to retire or travel may be derailed because of the burden of caring for children and grandchildren financially. Jean has had to pay for Anna’s college loans since she has had such a tough time finding a well-paying job and sticking with it. That money is now not going to Jean’s IRA which means that she cannot retire in 10 years when she turns 66. This is the time when Jean should really be working hard to put money away for her retirement. For Joe and Patsy, it was even worse. In order to help Sara out, they had to borrow money to cover the expenses of her divorce and caring for her and the children. So, are you facing this problem? Do you wonder what you can do to nurture your adult children along to leave the nest? Do you want to find ways to support her and not push her out too soon, and yet, you also would like to be able to see an end to this dilemma? We have some suggestions for you. Do not see returning home as the first best option. Sometimes your adult child may just need help finding a cheaper place to live, a better idea of budgeting or even a short-term loan. Teach your young adult about finances. You may be willing to help them out of debt, but don’t just bail them out. Find a way to teach them how to avoid debt, handle credit cards and live within a budget. If your relationship is tense, find a financial adviser or send them to a class to learn these skills. If your adult child needs to borrow money, make sure that he understands that it is a loan. Work out a repayment plan, either through money or increased responsibilities, that is realistic and one that you will follow through. Do not sacrifice your own financial future. Continue to care for yourself financially. You do not want to trickle down the financial burden to your children so that they have to take care of you in your old age. Your children most likely have many years to save for their retirement. You are approaching the end of your time. Set clear expectations about the living arrangements. Discuss household responsibilities, overnight arrangements with dates, what needs there are for sharing plans about when each of you will be home for meals, trips, etc. Charge your young adult rent. Rent can be a good thing, even if you decide to put it in a savings account for when your adult child leaves home. Set a time limit with your young adult. Discuss how long these living arrangements will continue. It is good to begin with an idea that this arrangement will not last forever. You can choose to change the time limit in the future if that needs to happen. Beginning with a date or time for a move out, lessens the impact of changing it if the return home seems to take too long. It doesn’t help if you back down on your word. Your goal is to help your young adult become self-sufficient. Honor your promises and hold her to her promises. In the end, everyone will feel better about the arrangement. Want help with your situation? We have experience helping other parents and their young adults navigate this territory. Contact us and let’s talk about how we might help you.